For Lieut. 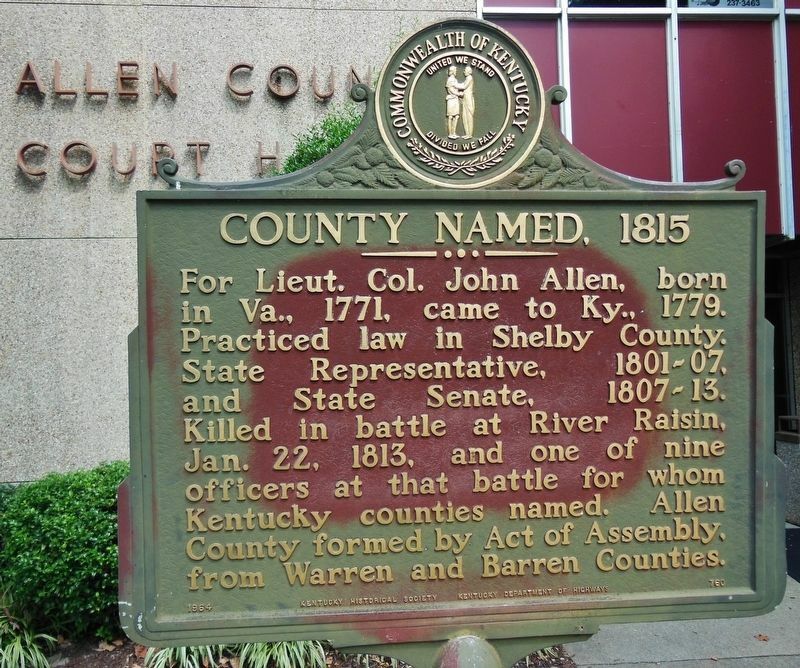 Col. John Allen, born in Va., 1771, came to Ky., 1779. Practiced law in Shelby County. State Representative, 1801-07, and State Senate, 1807-13. Killed in battle at River Raisin, Jan. 22, 1813, and one of nine officers at that battle for whom Kentucky counties named. 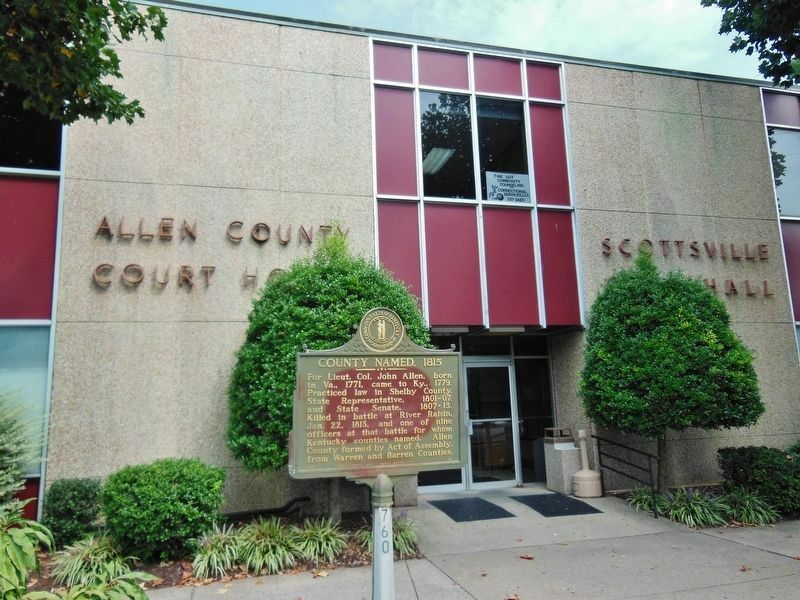 Allen County formed by Act of Assembly, from Warren and Barren Counties. is at or near this postal address: 201 West Main Street, Scottsville KY 42164, United States of America. Touch for directions. Other nearby markers. At least 4 other markers are within 13 miles of this marker, measured as the crow flies. Civil War Action (here, next to this marker); Jacksonian Hotel (about 300 feet away, measured in a direct line); Morgan in Scottsville (about 300 feet away); Epperson Springs (approx. 12½ miles away in Tennessee). More. Search the internet for County Named, 1815. Credits. This page was last revised on March 21, 2019. This page originally submitted on March 20, 2019, by Cosmos Mariner of Cape Canaveral, Florida. This page has been viewed 116 times since then. Photos: 1, 2. submitted on March 20, 2019, by Cosmos Mariner of Cape Canaveral, Florida.